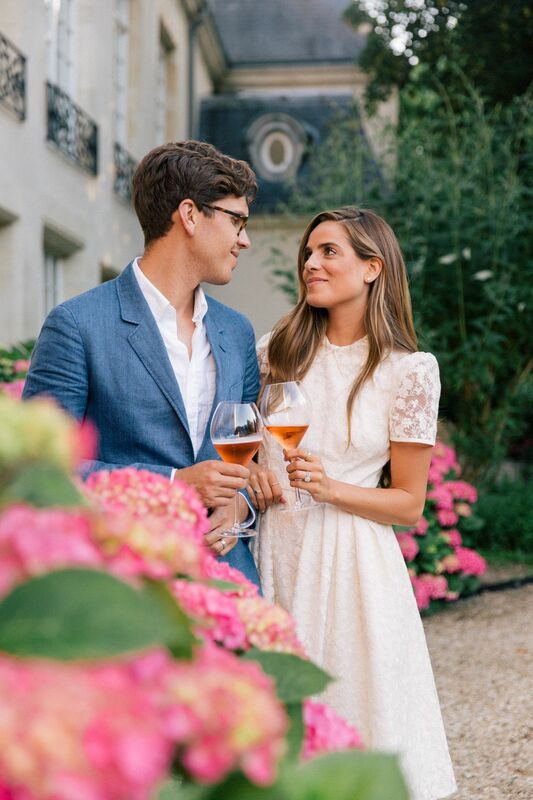 Our first few days in Paris were spent with Veuve Clicquot, working on a project with them for their 200th anniversary of rosé. We went out to Reims, where their cellars and Manor are located. We got to experience a full evening learning the history of the brand and how Madame Clicquot discovered rosé. It was a wonderful experience, followed by a beautiful dinner and then a trip back to Paris at the end of the night. I looked it up and you can actually head out there to do a tour if you’re in the area or are interested- the info is over on their site here. The next evening we attended their big party, where they took over a small amusement park in Paris at Le Jardin d’Acclimation. They turned it into the ultimate party where everything was centered around something pink and sweet. 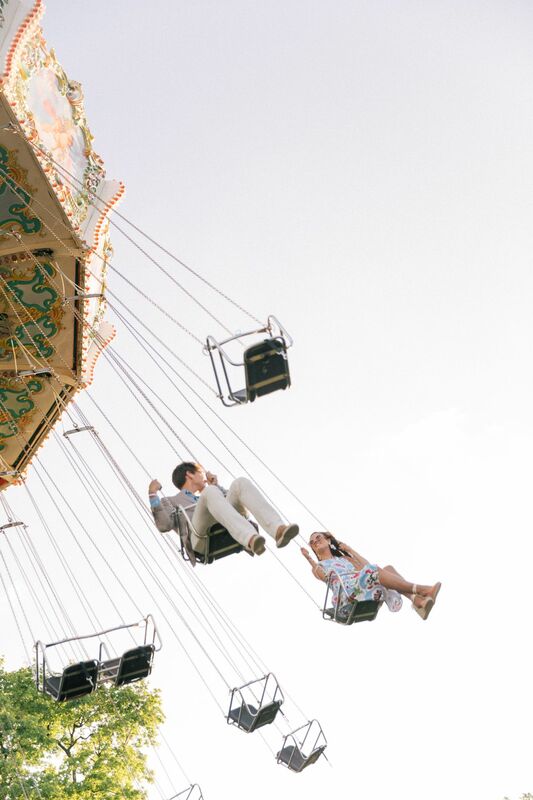 We ended up having a blast riding the roller coasters and carousels, popping into the photo booths and stopping by each of the stands for more food and candy, and rosé of course. 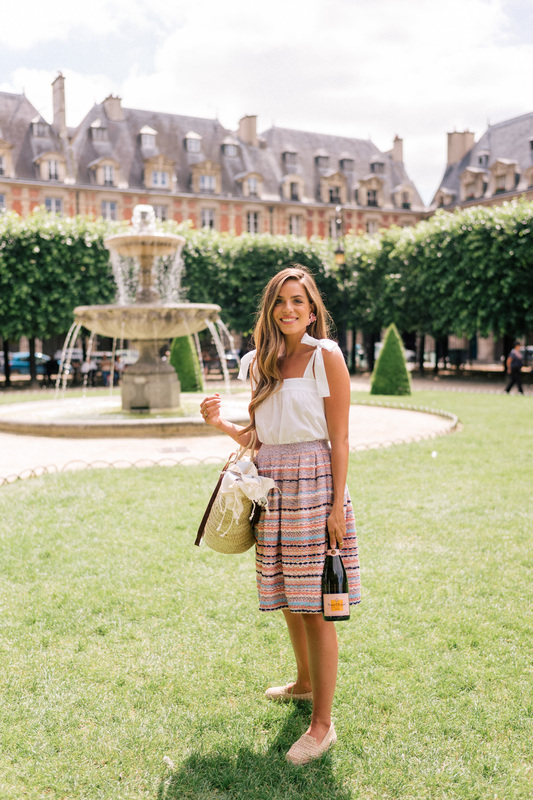 The next day we began our five day shoot around Paris for our Gal Meets Glam August Collection. I can’t wait to show you all! It’s definitely a huge transition for us, moving from spring and summer dresses, into our first taste of fall. The colors are very different than anything we’ve shown you yet and I really love how they all turned out. Luckily the weather cooled down over that week, so I wasn’t sweltering hot in long sleeved dresses. We didn’t shoot much for the blog throughout those days, as we used every bit of sun to capture our images for the editorials, but here is a roundup of photos from our week in Paris, with outfit details included for everything as well! Paris looks so beautiful in the Summer! Looking at your gorgeous photos makes me even more excited for my upcoming trip to Paris! Great post! These photos are gorgeous and i’m so excited for the August collection. I can imagine the amusement park was so much fun, especially with everything pink. Gorgeous! I believe you had such an incredible time there, by these wonderful pictures! Loving all these dresses for sure! Hearing about your Fall collection is making me countdown the days to see it. I can’t wait! And I love all your outfits in this post! Paris is always so beautiful and romantic! <3 :) Loving all of these photos so much! And all of your outfits are soo beautiful! Looks and sounds like such a fun trip! All of your looks are absolutely beautiful and so fun with the colors. Loving your outfits. Your collection is so pretty. There are so many gorgeous dresses. Excited to see the newest pieces! Congrats!!! It looks like you had a lot of fun. All the looks are very summery and lovely. All these photos are so lovely! I love every outfit you’ve worn in this post! Especially the white dress! Julia – will you ever be bringing this dress back?